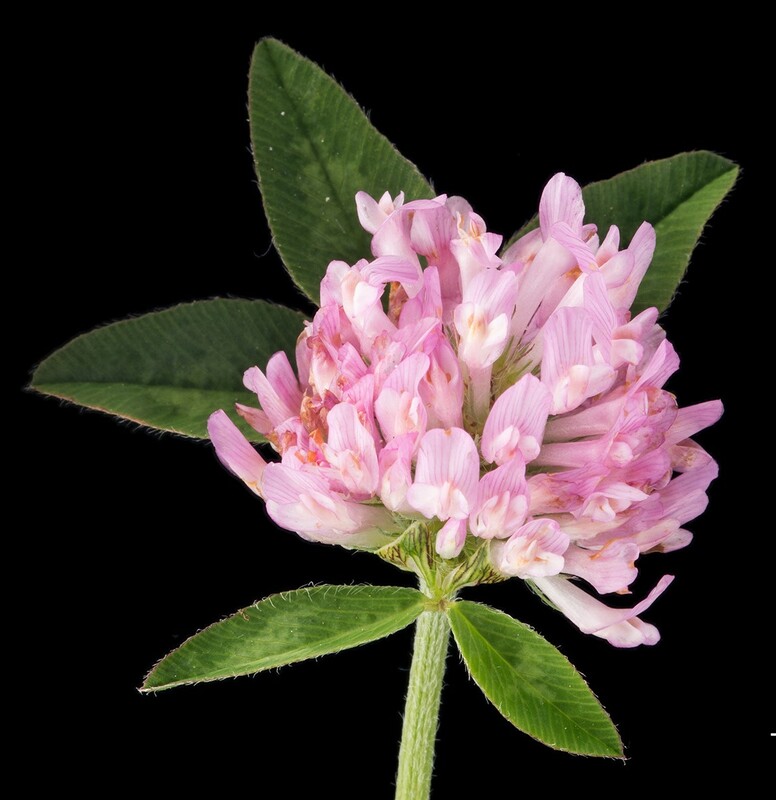 Herbaceous, short-lived perennial legume widely used in temperate regions for forage, soil improvement, and as pollen and nectar source for bumblebees. 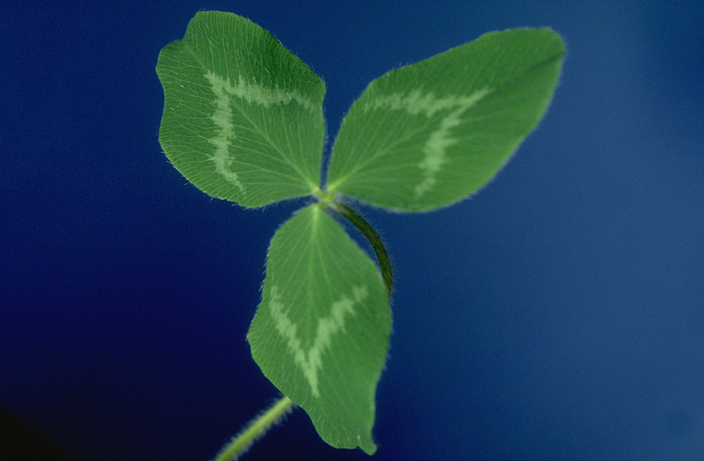 Valued in mixtures with plantain and white clover as high-quality finishing pasture. 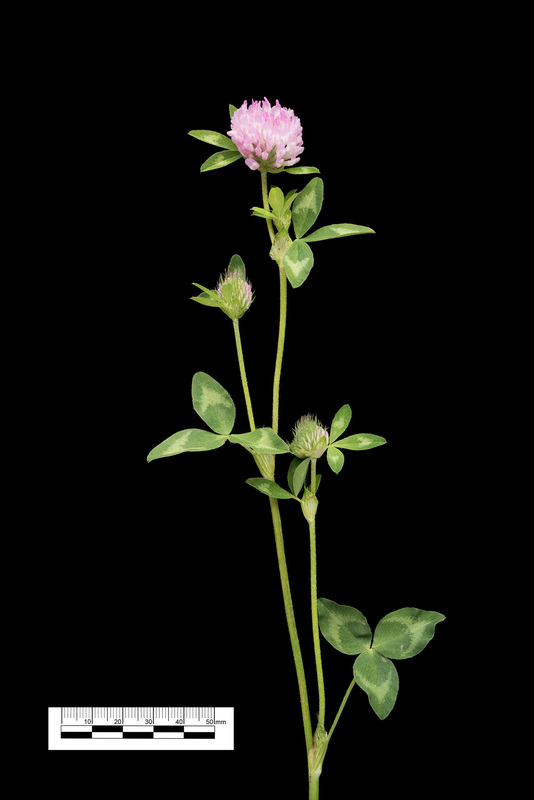 Inflorescence is a spherical head composed of scores of rose-purple to magenta flowers. 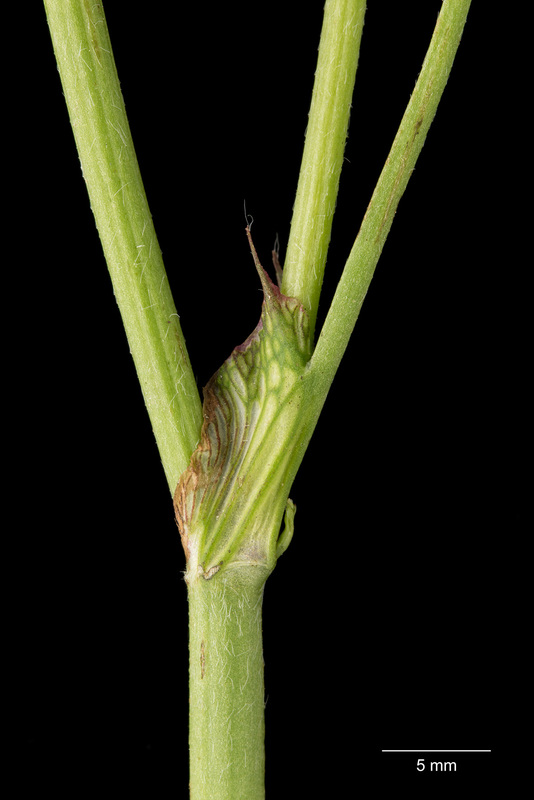 Pubescent stems are mostly upright with lower branching. 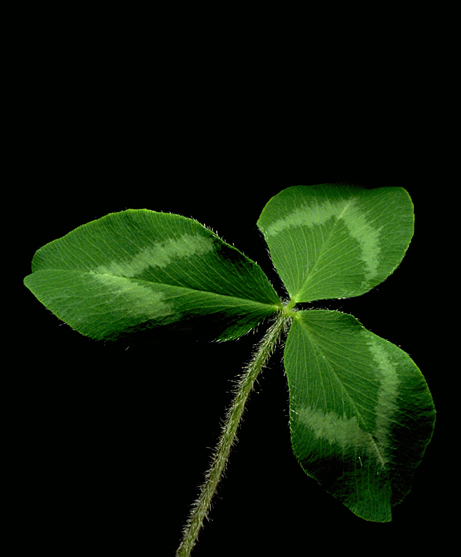 Palmately trifoliolate leaves have oblong leaflets with crescent-shaped watermarks. 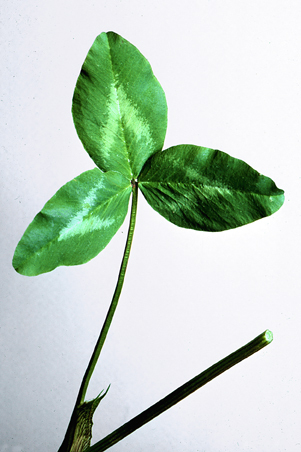 Large stipules have green or red veining. Short taproots may be replaced by secondary roots after first year. 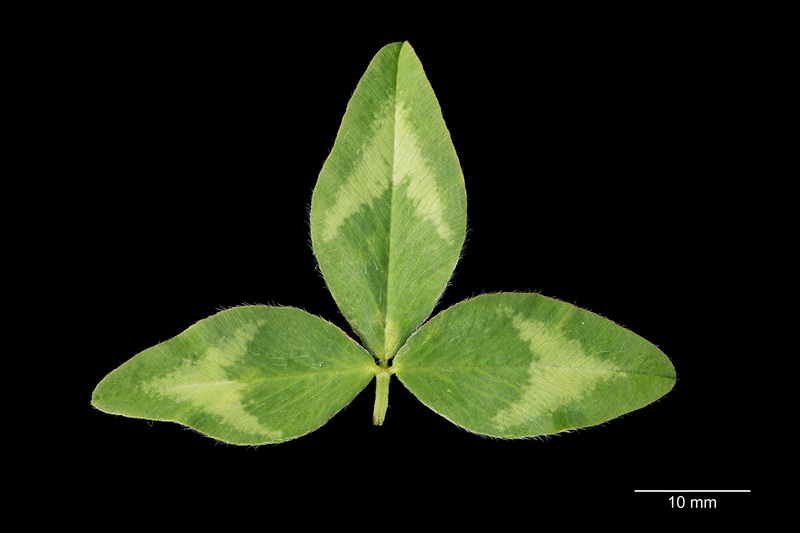 Seeds are mitten-shaped; ~ 2 mm long and 1.5 mm wide; color light yellow to dark purple; about the same size as alfalfa (272,000 /lb; 598,000 /kg). 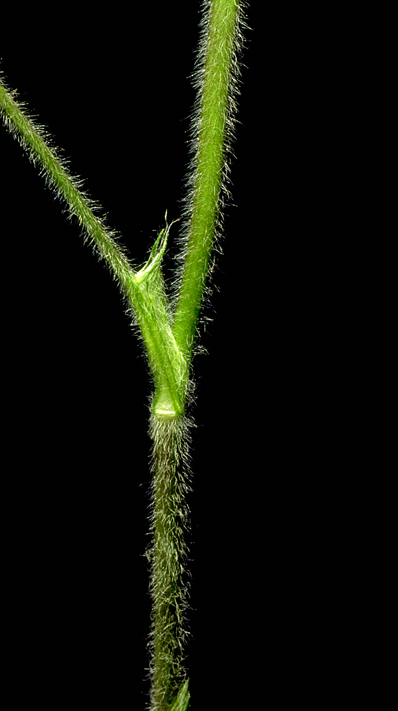 Upright growing stems that originate from a narrow crown near the soil surface. Short-lived perennial. Persistence reduced by winter injury, high temperature, low moisture, and flooding. 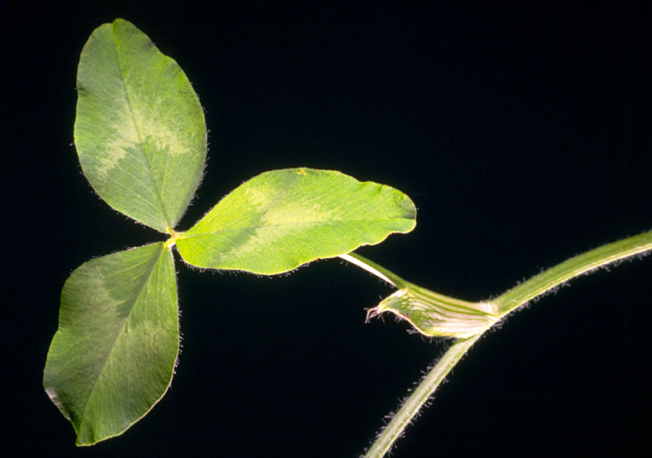 As a cool-season legume, majority of growth is produced in late spring and early autumn. 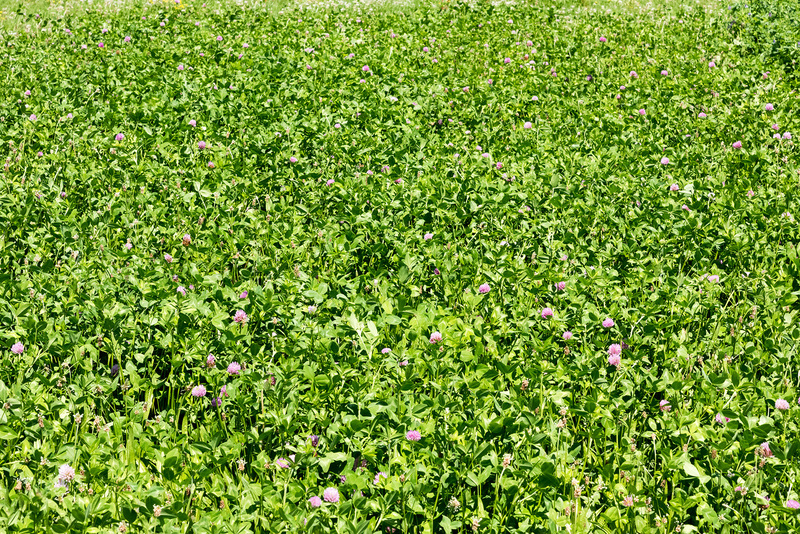 For hay and silage, red clover is harvested 2 or 3 times at early flowering stage. Rotationally grazed on pastures, with majority of production contributed by the accompanying grass. Two types: early flowering or ‘medium’ and late flowering or ‘mammoth.’ Use late flowering types north of 60° N latitude. Extensively grown in the humid region of North America, from Ontario and Quebec to Tennessee and South Carolina and intermountain and northwest regions [USDA Plant Hardiness zones 4-8; Jan mean minimum of -22 °F, -30 °C)]. Requires 25-40 inches (635-1000 mm) of precipitation or irrigation. 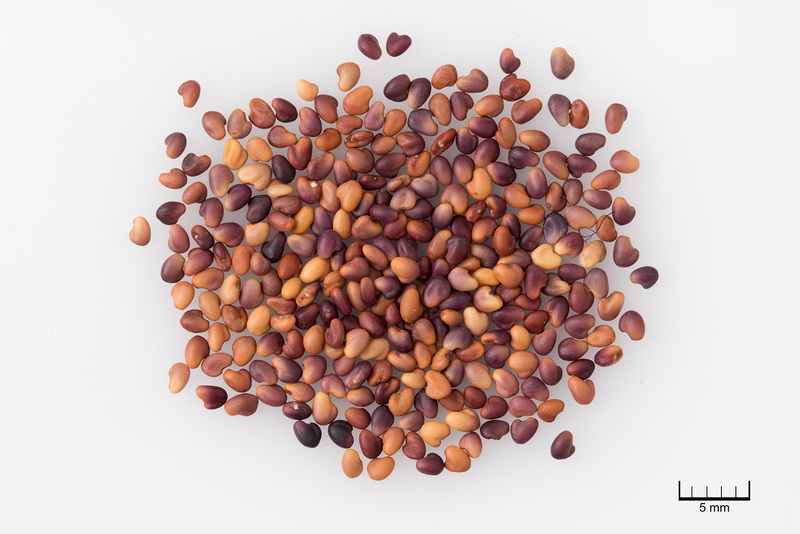 Grows best in fertile, well-drained to somewhat poorly drained soils of high moisture-holding capacity. Tolerates strongly acid soils (pH 5.1-8.4) but maximum yields require pH of 5.8-7.5. 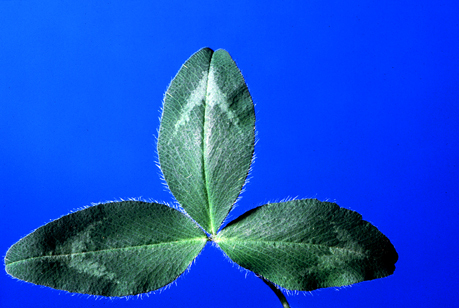 Moderately sensitive to saline conditions (1.5-3 dS/m). * USDA Plant Hardiness Zones 4a-8b. **Precipitation requirement: 25-40 inches (600-1000 mm). Rooting: Tap, many branched; to depth of two feet (75 cm). 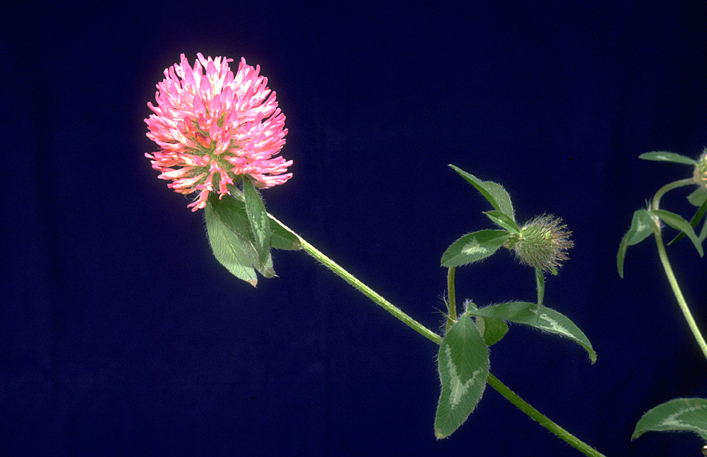 *** Soil pH: NRCS Range and Pasture Handbook, Chapter 3 classification for red clover is Strongly Acid to Moderately Alkaline (5.1-8.4). 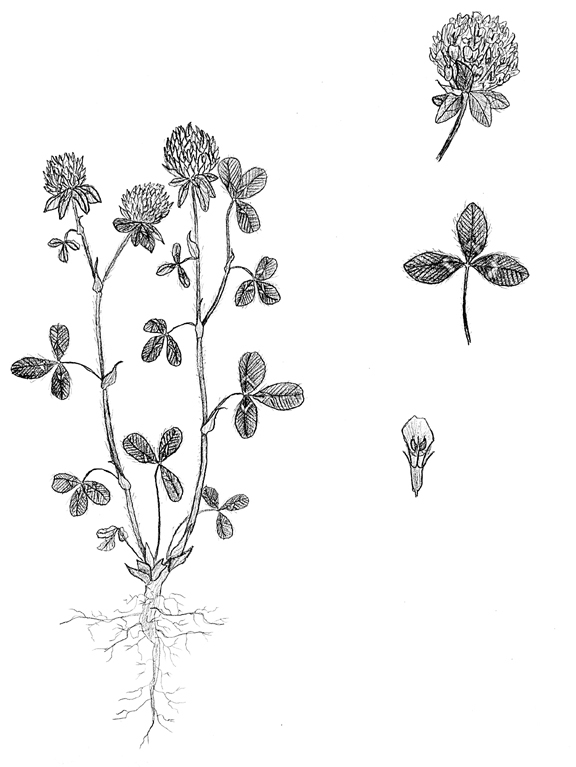 † Soil drainage: NRCS Range and Pasture Handbook, Chapter 3, Table 3-4; Classification for Red Clover is Tolerant of PD to WD Soils. 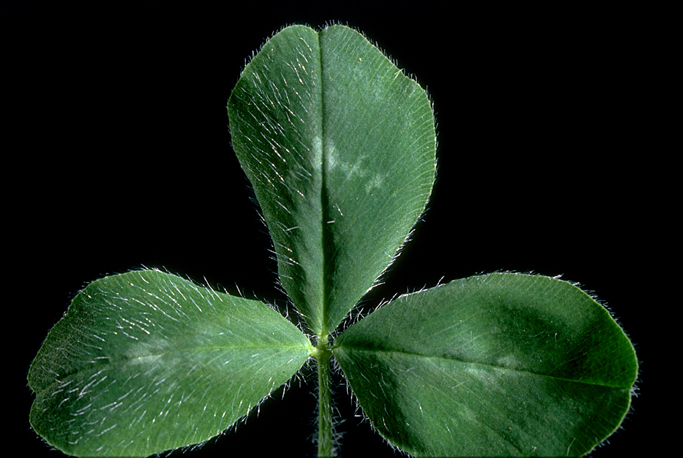 Percent Relative Yield for Red Clover for the classes 1-7: 24, 45, 75, 100, 100, 55, 30. # Soil salinity: NRCS Range and Pasture Handbook, Chapter 3, Table 3- classification for red (and alsike, Berseem, white, strawberry) clover is Moderately Sensitive (1.5-3 DS/m). Highly palatable and digestible forage with high percentage of rumen by-pass protein. Bloat hazard when >30% of pasture mixture. Older cultivars produce compounds with estrogenic activities that can interfere with livestock breeding.